Asociatia STIM (STEM Education) focuses on Science & Technology Education Children & Youth and is headquartered in Pitesti, Arges, Romania. 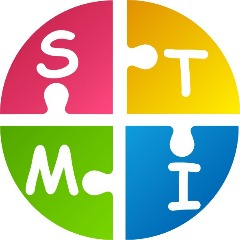 Asociatia STIM (STEM Education) a) Creation, development and promotion of educational framework type STEM (STEM = Science, Technology, Engineering, Mathematics - in Romanian: "STIM = Stiinta, Tehnologie, Inginerie, Matematica"). b) Awareness and recognition of the need to introduce STEM education in school curricula nationwide, as an optional or extracurricular activities in primary and secondary public and private in Romania. c) Creating and promoting curricular aids (textbook, notebook student teacher's guide) as background material for the optional course "STIM" in primary and secondary public and private in Romania. Project: "We Know Robotics with Micro:bit" Our purpose is to equip EACH SCHOOL in Romania with a packet of 10 educational robots Micro:bit + dedicated school curriculum! Please visit our website, stim.ngo, for more information. Thank you!